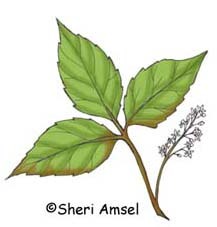 Found in open woodlands, hedge rows, along roadways and in disturbed areas. Clinging vine - blooms late spring and early summer. Small, green flowers grow in clusters among leaves. 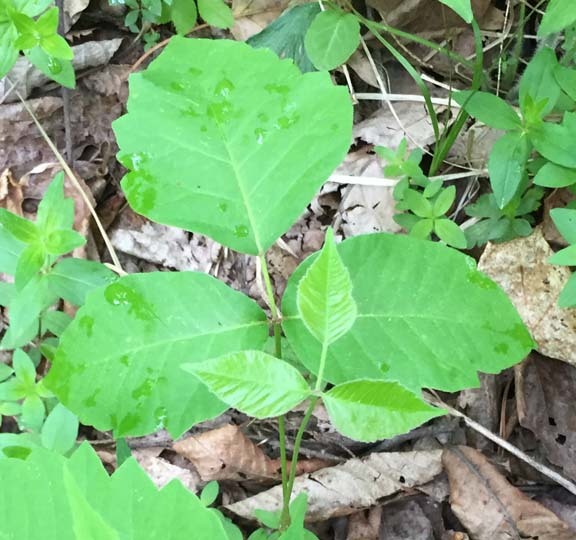 Leaves grow in threes, sometimes toothed, with reddish tint and shiny.